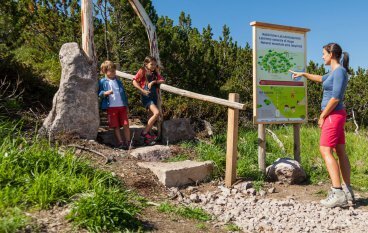 If you spend your summer holidays in Oberbozen, you should definitely go to the Rittner Horn and along other hiking trails. After all, a hike is the best way to get to know the country and the people, to experience nature directly and to enjoy the spectacular Dolomite panorama – all in a wonderfully mild climate and bright sunshine. 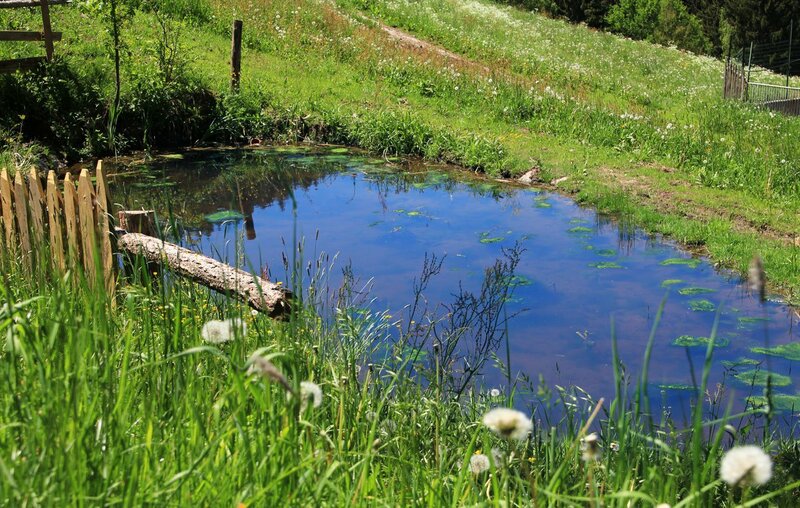 In the Rittner hiking area you will find 200 km of hiking trails. 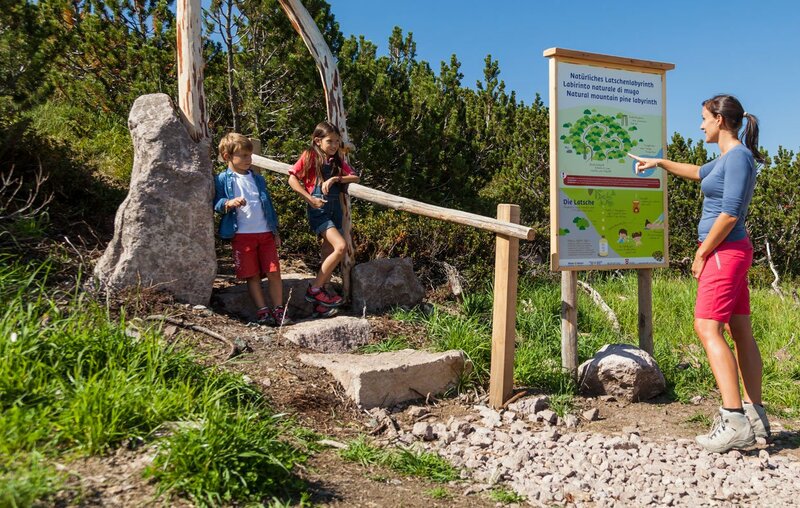 The choice is huge: paths for young and old, for connoisseurs and demanding mountain hikers, for friends of flora and fauna, art and culture fans are well mixed and offer the right solution for every taste and demand. 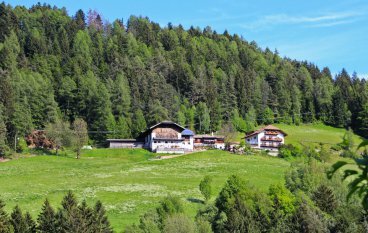 We would like to recommend you some of the most beautiful hikes you can do on your holiday in Ritten. 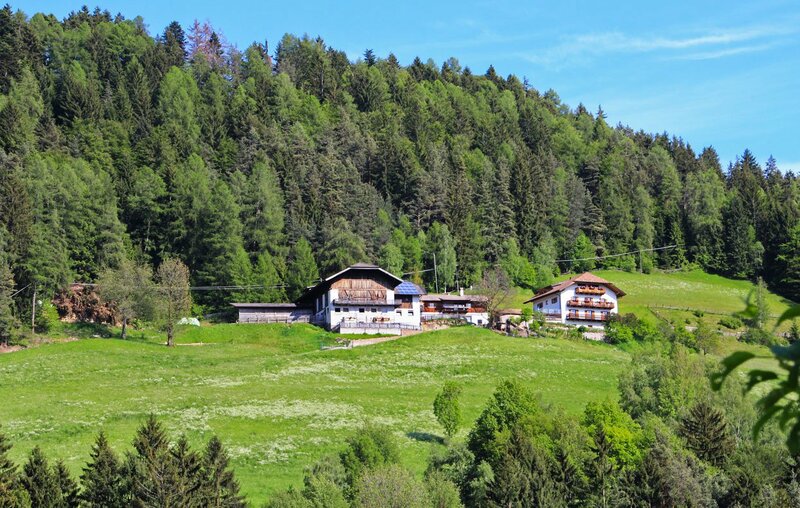 From Oberbozen to Klobenstein, you can walk on a easy hiking trail on the track of Sigmund Freud and even participate in guided hikes, if you want to learn more about the famous psychologist. 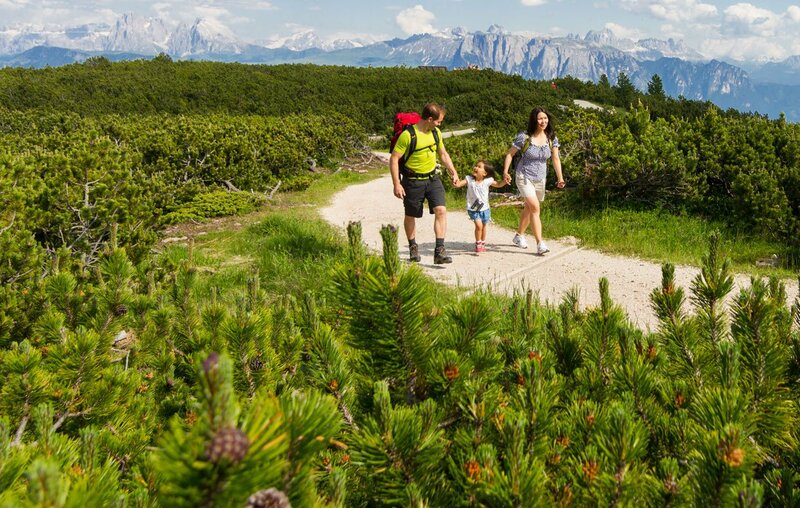 This hiking trail is also suitable for families traveling with a baby carriage. On the bee’s hike from the stop of Rittner mountain railway and back you will learn more about bees and beekeepers of South Tyrol and enjoy delicious honey. 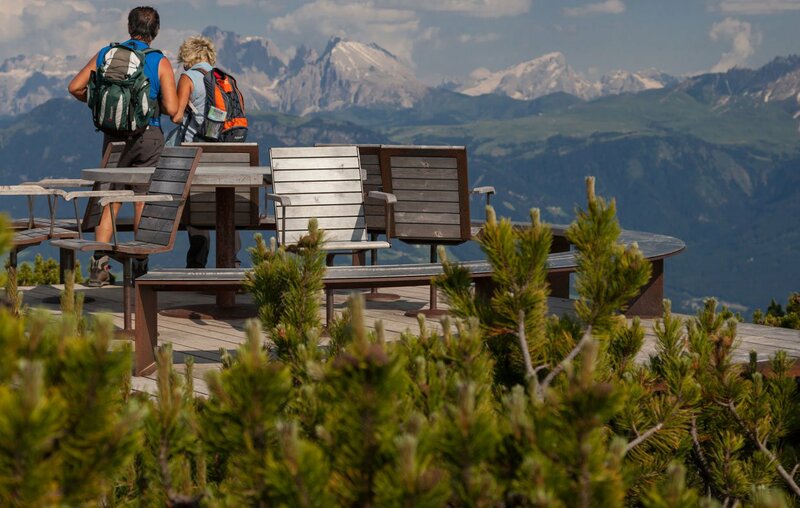 If you are looking for a challenging hike at a higher altitude, we would like to recommend you the South Tyrolean Himmelstour: On the circular route from the mountain station of the Rittner Horn cabin you will walk 11 km by the famous round table and dolomitoscope, the alpine stone garden, the mystical Pfannenstiel and enjoy the mountain pine schnapps. Obviously you do not have to restrict yourself to walking in the summer. What about a cool down in the nearby Wolfsgruben lake? 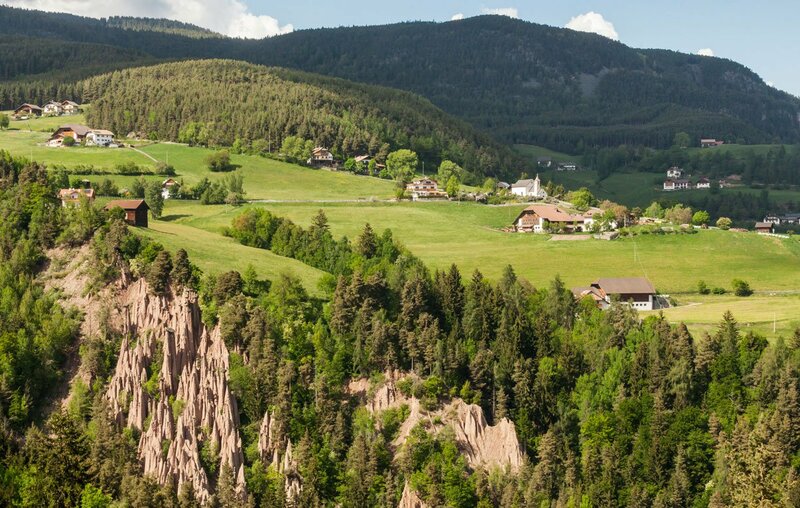 A visit to the earth pyramides in the Katzenbachtal under Oberbozen is just as good a idea as the visit of the beautiful frescoes in the St. George and Jakob’s church from the 13th century. 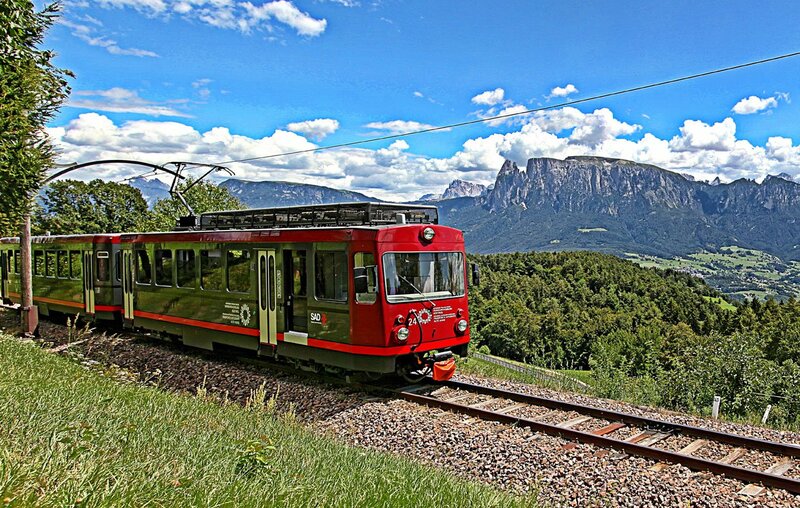 What you should not miss in any case is a ride with the Rittner mountain railway from Oberbozen via Klobenstein to Maria Himmelfahrt. 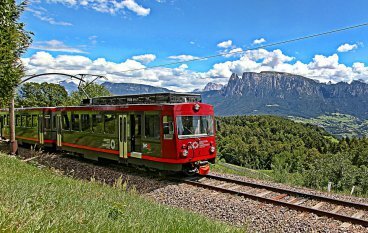 Along the way you have a spectacular view of the imposing mountains of the Dolomites of South Tyrol, on the Schlern and the Rosengarten. If you would like to experience lively customs, the church parade and the ensuing festival on 15th August for the Ascension of the Virgin Mary are a must. 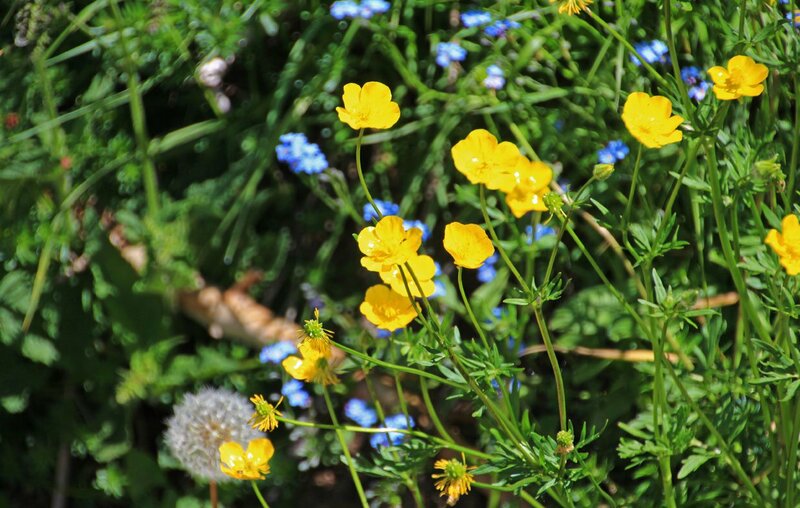 On this occasion, you will marvel at traditional costumes, listen to the local music bands, and learn about the traditional crafts of the region.